Gallipoli is a peninsula in Turkey, where the Gallipoli campaign took place between April 25 1915 and January 9 1916 during the First World War. The Australian and New Zealand forces, the Anzacs, landed at dawn at what is now known as Anzac Cove on April 25. The Turkish forces, the Ottomans, defended their territory with a fierce determination, but by evening, the Anzacs had managed to hold a tiny triangle of land about 2 km long and 1 km wide, which they called Anzac. Suddenly all hell broke loose … bullets were thumping into us in the rowing boat. Men were being hit and killed all around me … The boat touched bottom some thirty yards from the shore so we had to jump out and wade in to the beach … The Turks had machine guns sweeping the strip of beach where we landed – there were many dead already when we got there. Bodies of men who had reached the beach ahead of us were lying all along the beach and wounded men were screaming for help. We couldn’t stop for them – the Turkish fire was terrible and mowing into us … we all ran for our lives over the strip of beach. They followed their orders. The entire regiment was wiped out by the Anzacs, every man of it either killed, or so badly wounded he could not continue fighting. The modern Turkish army does not have a 57th Regiment, as a mark of respect. The greatest number of men we came over with are either killed or wounded. The whole battalion was practically cut to pieces. The Gallipoli campaign continued for eight more months, with nearly half a million casualties, and more than 100 000 deaths. This includes around 60 000 Turks and 53 000 British and French soldiers, including more than 8500 Australians and 2721 New Zealanders. In the end, the campaign was a crushing defeat for the Allied forces, and one of the greatest victories for the Turks. It gave them a national identity and fostered their spirit of independence just as much as it did for Australians. Today there are many cemeteries and war memorials on the Gallipoli Peninsula. Each year on Anzac Day, April 25, commemorative services are held at Gallipoli for the war dead, conducted by Turkey, Australia, New Zealand, Britain and France. 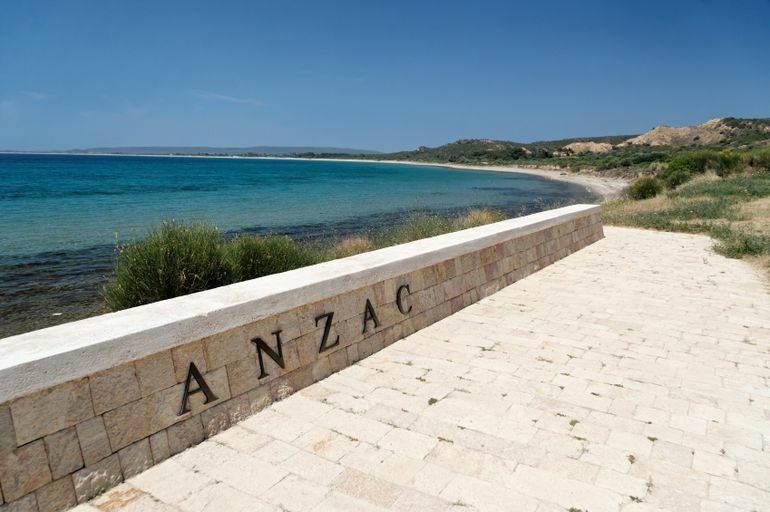 Gallipoli is considered sacred ground to many Australians, consecrated by the blood of those who fell there. Increasingly, it is seen as a place of pilgrimage, with many young people travelling to Gallipoli as a rite of passage. The Macedonian city of Callipolis was founded in the 5th century BC on the Dardanelles Strait; its name comes from the Greek word kallipolis, meaning “beautiful city”. Also known as Gallipoli, it gives its name to the peninsula it sits on, and its Turkish name is Gelibolu. It is pronounced guh-LIP-uh-lee. According to Australian historical records the name Gallipoli was given to just two girls during World War I, both of whom died in infancy. I wonder if this name was considered so sacred that it could only be bestowed on those destined for death. As a middle name, it was given more often, and to equal numbers of males and females. People such as Mercia Gallipoli, Sydney Gallipoli, Brittania Gallipoli and Anzac Gallipoli flourished and increased, and some have only recently left us. Although place names are becoming increasingly fashionable as baby names, I cannot recommend Gallipoli as a first name. Its extreme rarity, the problems with spelling and pronunciation, and difficulties shortening it to a usable nickname are some of the least problems it faces. In the middle, it seems easier to live with. To me the main problem with Gallipoli as a first name is its heaviness. It was the scene of battles where many lives were lost, and much blood shed; a place of great suffering and enormous sacrifice. Gallipoli is a place of death – heroic deaths, brave deaths; corpse upon corpse of them. Many dead in the water before they even reached land; many lives given solely to buy others time. There’s also the uncomfortable fact that we went to Gallipoli as invaders. We invaded someone else’s country, on the orders of another country, and we slaughtered their people. Another uncomfortable fact is that our side lost the campaign, and lost badly. Even more uncomfortably, this hideous loss was a waste of time, resources and life. The Allies achieved nothing from it, and the Turkish people who successfully defended their land were on the losing side of the war. The name Gallipoli conjures up many emotions. National pride, gratitude for sacrifices made, deep sadness at loss of life, horror at what was endured, anger at the futility of war. And also forgiveness, respect, shared grief, and friendship between nations who were once enemies. Those heroes that shed their blood and lost their lives… You are now lying in the soil of a friendly country. Therefore rest in peace. There is no difference between the Johnnies and the Mehmets to us where they lie side by side here in this country of ours… You, the mothers who sent their sons from far away countries wipe away your tears; your sons are now lying in our bosom and are in peace. After having lost their lives on this land they have become our sons as well. POLL RESULT: Gallipoli received an approval rating of 15%, making it one of the least favourite names of the year. People had some real problems with the name Gallipoli, seeing it as having too many issues (31%), too weird (28%), too controversial (13%), and too sad (13%). Only 10% thought Gallipoli was usable as a baby name, and nobody thought it was beautiful.